I hadn't realised that there was a Saint Jason until relatively recently. Long term readers will know of someone I know called Jason. It seems that my friend Jason's heavenly patron also got into a spot of bother with 'the law' but for proclaiming Jesus Christ. I happened to come across this passage of Scripture above last night and, to my great surprise (even horror! 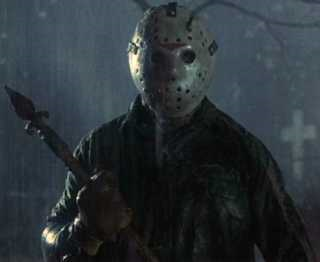 ), I hear that Jason has been released from prison today. What is the chance of that? What is the Good Lord trying to tell me? Advice? A warning perhaps? My friend Jason, the parish of St Mary Magdalen's loveable, but highly 'irritating little b******', has been in prison for some time and has now been released back onto the street, as well as his erstwhile and faithful friend Kevin. I guess Kevin is on the street as well by now. Both were jailed for breaking and entering into an abandoned property in order to keep Kevin warm because Kevin was homeless and cold. Both got six months in Highdown Prison because we live in an age of 'mercy'. Both are now released back onto the street in time for the Christmas cold. George and Diane are yet to be rehoused so it is not entirely impossible they will be on the street come January 4th. I have a weird feeling my flat is about to be besieged by poor, homeless people in what could amount to a 'perfect storm'. I fear I will have to either stay where I am and receive complaints from neighbours, move away, or move onto the street with them. Together we can start that new Franciscan Order now that the FFI are being decimated. Exactly how much Skol Super is a Franciscan allowed to drink in a day? Ah, the joy of the Gospel. Dear God, help me and grant me holy prudence. I suppose - I believe it is - a great honour that Jason should come to my flat, but he is not your ordinary homeless person. Most visitors are happy to ring the doorbell. He doesn't do that. He prefers the window. He really doesn't have any social boundaries at all. Perhaps I should pay for his passport and send him to Pope Francis. It's his birthday after all! Happy Birthday, Your Holiness! Have a Jason! St Mary Magdalen's little treasure, Jason, can call up at his flat every night of the week at insane hours of the night instead of mine and the papal video cam can beam images around the globe of the Pope dropping quilts and sandwiches to Jason and whatever homeless person Jason is 'looking after' that night. That would do the Pope's image a great deal of good...until the press started talking to Jason and realise why he has a Roman ASBO. Forgive me for moaning, but sometimes even Good News can feel like bad news. God help me and forgive me. I would like to be happy that Jason is out of prison, where he was safe, housed, off drugs and drink and warm, getting three meals a day and pumping iron at the gym, but I'm not going to pretend. His life on the outside of jail is total chaos and he enjoys spreading it around. Pope Francis doesn't like 'pretenders' so I'll just be honest instead. Pray for me and pray for Jason, Kevin, George and Diane and if you want to send sleeping bags, email me and I'll give you my address. Jason, at least, will doubtless need one. Unless, that is Bill Gardner wants a Jason for Christmas? Joy, O Joy, O Joy...I think I'm about to be taken well and truly out of my 'comfort zone'. Pray for me, that I may prefer anything but my own will in the coming weeks. Under Pope Benedict XVI being kind to Jason was simple. It was all about kindness. Under Pope Francis one wonders whether one is being called not simply to be kind but implement some kind of conversion of lifestyle or living arrangement or build one's entire spirituality around Jason and the poor. Doesn't Pope Francis say he wants 'street preachers' in his new Exhortation? How far does the Christian go in responding to the poor? My experience leads me to think for the Christian, the poor can become people through whom he or she can encounter Christ and be led to virtue, or for whom the poor can become something masturbatory and about self-aggrandisement. Let's face it, Marxists, Leninists and Polly Toynbee wax lyrical about 'the poor' all the time. The UN is always going on about poverty. You don't need to be a Christian to talk about it all the time. Under Benedict XVI, responding to the poor was organic - something that the liturgy and prayer led us to do. Under Francis, one feels an unusual element of compulsion. The thing about a number of traditional Catholics, laity and priests, is that we actually do take Christ seriously about the poor, but we don't beam images of ourselves doing so. Jesus Christ told us explicitly not to even let our left hand know what our right hand is doing in almsgiving and furthermore, for public knowledge of it to mean the automatic loss of heavenly reward, since our Heavenly Father sees what we do 'in secret' and rewards us 'in secret'. If every Catholic who practised almsgiving had a cameraman or released a images and a press release about it the next day, the World would rightly think we were tossers. Sorry for the coarse language but that's the truth. Perhaps for the spiritual health of the Pope, his PR gang should consider laying off the Supreme Pontiff's virtue for a while. I can't be the only one thinking its getting a bit much, especially in the light of the FFI's terrible treatment since the measure we 'mete out' shall be the measure that is returned to us. I wonder what St Francis and St Maximillian Kolbe make of it all. Let's face it, we've all heard of the Christians who parade their virtue in the Church and town squares but go home and beat their wives and children black and blue. At the end of the day, the true test of our character resides not in what we do in public, but in private. Oremus for Pope Francis and the second coming of our Lord Jesus Christ! God give you strength, consolation and human support. I am with you in spirit, my friend. Pope Francis' rooms in the St Martha Hotel take up a whole floor, now, apparently much more space than if he had taken residence in the unacceptable Papal apartments. Perhaps you could give Jason the address. Barring that, if you email me your address I can support the misery by forwarding A: a gelert sleeping pod, or B: a campri mummy? Whatever seems preferable. I can also recommend 15 decades of the Rosary, whilst pacing, be militant about it, and they'll leave you alone for an hour. "Jesus Christ told us explicitly not to even let our left hand know what our right hand is doing in almsgiving and furthermore, for public knowledge of it to mean the automatic loss of heavenly reward, since our Heavenly Father sees what we do 'in secret' and rewards us 'in secret'." Indeed Laurence but thanks for telling us about Jason! I'm telling you about Jason. I'm not telling you whether I do anything for Jason or not. It is that which is or should remain 'secret'. The thing is the Holy Father inspires many of us in examining our actions & hopefully spurs us on to live the Gospel joyfully and more authentically just as his predecessor Benedict did.